Nearby parks include Abraham Lincoln Park, Irondequoit Bay Park and Tryon Park. Waters Edge Apartments has a Walk Score of 19 out of 100. This location is a Car-Dependent neighborhood so almost all errands require a car. Waters Edge offers the ultimate combination of location and luxury! 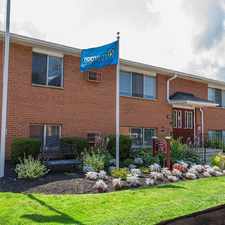 Wake up each day to amazing views of Irondequoit Bay, and enjoy a short commute from our location, just minutes from Route 590 and downtown Rochester. Each of our one-, two-, and three-bedroom luxury apartment homes offers a high-end stainless and granite kitchen, plus an in-home washer & dryer. Our controlled access buildings have underground parking and elevators for your convenience. When it's time to head outdoors, enjoy your patio or balcony, or our pool & sundeck...or take your pet for a stroll around our beautiful grounds. Indoors, our clubhouse and theater room give you a place to gather with friends. NOW LEASING - The Club at Waters Edge, a private, gated rental community. Call for details! Explore how far you can travel by car, bus, bike and foot from Waters Edge Apartments.